Are you a bona fide MMA fan? Get the chance to live out your MMA dreams as Cignal TV brings a lucky subscriber and a friend to Korea to watch the ROAD FIGHTING CHAMPIONSHIP LIVE! 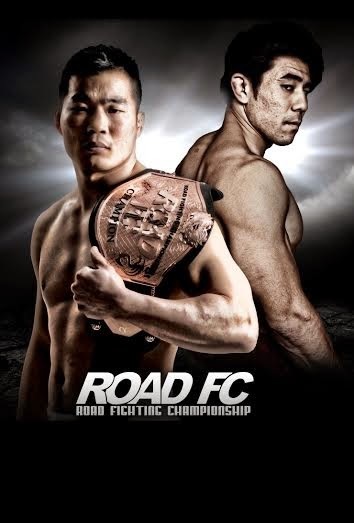 Road Fighting Championship is the home of combat sports in Asia as it hones Korea’s brightest MMA (Mixed Martial Arts) stars to step on the ring along with top international talents from Japan, Brazil, Europe, and the USA. The mettle of these fighters is tested as they try to prove that they are the best in the world by leaving their hearts and pride in the cage. Experience heart-pounding action full of knockouts and tap outs as Road FC fighters show their skills of different martial arts disciplines like Taekwondo, Jiu-jitsu, Karate, Boxing, Muay Thai, Wushu and many more. As Asia’s premiere MMA league, Korean fighters like Kang Kyung-Ho and Nam Yui-Chul challenge themselves and make their way on to the stage in full international television broadcast through Kix Channel, the ultimate destination for action entertainment. This promo is open to all Cignal TV subscribers of Plans 830* and up and will run from September 01 to October 01, 2014. KIX HD, which is Cignal TV’s latest explosive addition to its wide array of exciting channel offerings, is the ultimate destination of viewers who want a daily dose of high-octane and adrenaline pumping shows all in 100% clear screen. This 24/7 action entertainment authority delivers many rounds of blockbuster action movies, cutting-edge reality shows, hit action series, and combat sports. So if you want programs filled with heart-stomping entertainment, you’ll never have a dull moment with KIX HD. Subscribe now to Cignal TV to get the chance to watch this great battle of supremacy in Korea’s largest MMA organization live! KIX HD is available on Cignal TV channel 122. *Plans are subject to installation, maintenance and outlet fees. For total recurring fees, log on to www.cignal.tv.